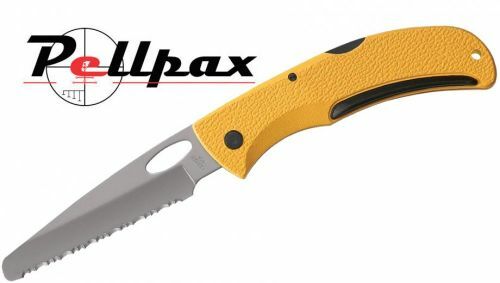 The E-Z Out Rescue is a specialist knife that has been designed with safety in mind. The serrated blade is designed to make light work of almost any material and features a blunted tip to allow you to saw without risk of puncturing and ajacent surface. The polymer grip provides exceptional control over the blade and will provide a secure hold, even in wet conditions. Add this item to your basket & spend an extra £457.01 to apply for finance.